1. 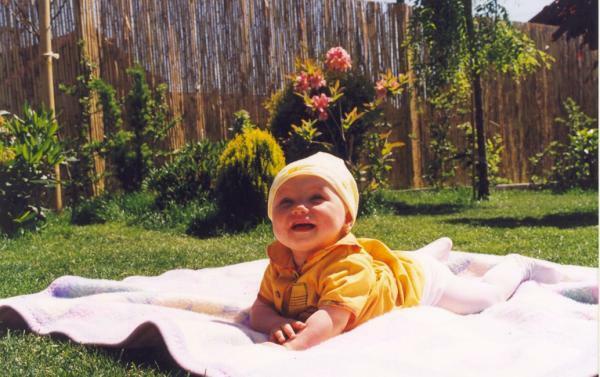 First, find a baby. 2. 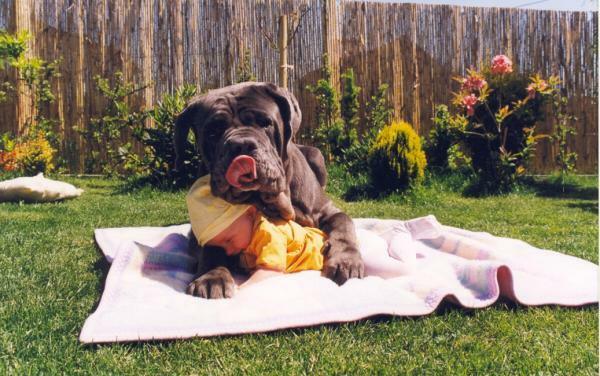 Second, be sure that the object you found was indeed a baby by employing classic sniffing techniques. 3. 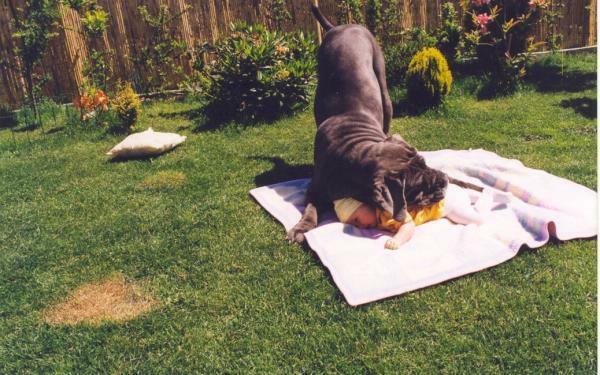 Next you will need to flatten the baby before actually beginning the hugging process. 4. 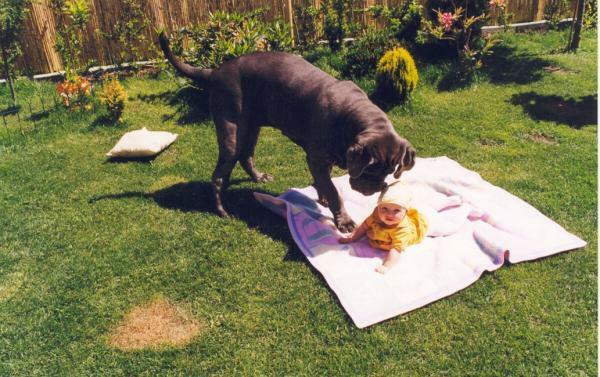 The 'paw slide': Simply slide paws around baby and prepare for possible close-up. 5. 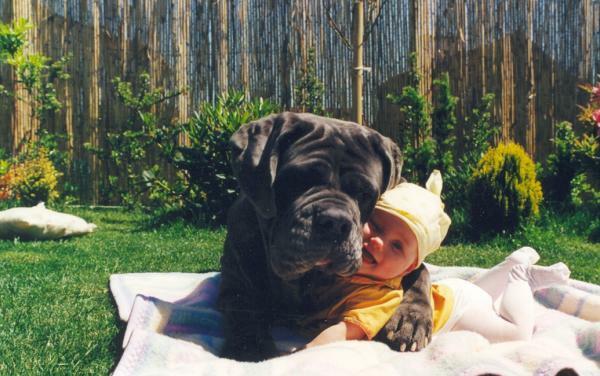 Finally, if a camera is present, you will need to execute the difficult and patented 'hug, smile, and lean' so as to achieve the best photo quality. I’m dating myself here. Growing up in the 70s and 80s, I was delighted to find after school a television channel that showed reruns of the original Star Trek series with William Shatner and Leonard Nimoy. Yeah, they were cheesy, but to a young girl they were “fascinating.” Along with books and Star Wars, these were my first initiation into ideas of bending reality and alternate worlds. A few years later I was excited to watch Star Trek: Next Generation. This was objectively a better series, with more complex characters and occasionally a truly mind-twisting premise. The cardboard walls and Christmas tree lights were gone. Yes, maybe the Next Generation episodes were sometimes silly, but as in the first series, full of optimism and derring do. I love to contrast the characters of Spock and Data from the two series. Spock is a Vulcan – a humanoid who prizes logic and rationality more than anything. Spock never showed emotion, at least until the actor complained and the writers built in a half-human side and a few episodes in which he could deliver a larger emotional range. 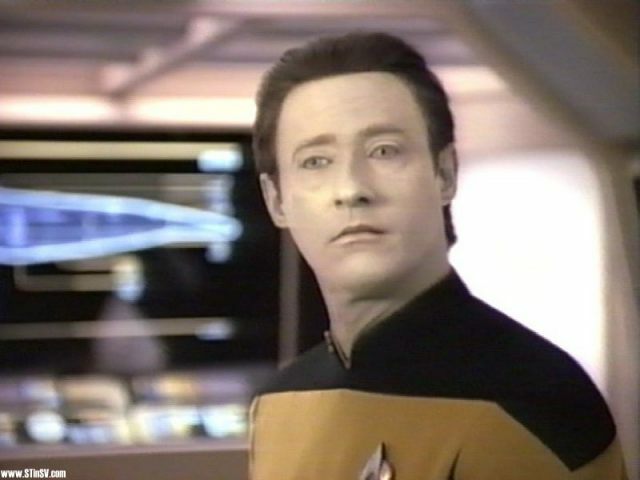 Data, on the other hand, is the quintessential Pinocchio: an android built by Dr. Noonian Soong who is incapable of experiencing emotion, although he desperately pursues this aim. Among other things Data learns painting, plays poker, and adopts a cat (Spot), but never quite gets it. Interestingly, I think of Spock as less human-like than Data. 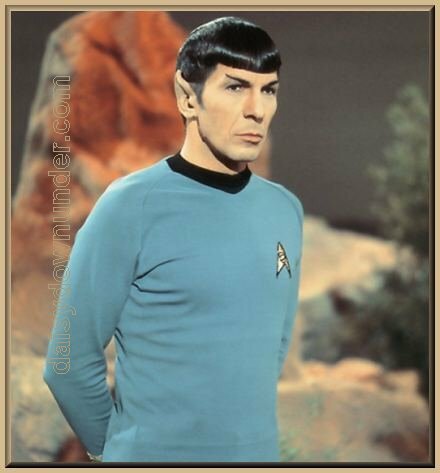 Spock, who is human but wishes to be unemotional, is perceived as unemotional. Data, who is without emotions but “desires” to become human, is perceived as human -- although the crew never forget that he is an android, they always interact with him in a human-like way. Of course, this perception on my part, as the audience, might be due to skillful acting and writing that imbues a limited character with greater depth. But assuming that this is a true observation, I’ve often pondered why this might be. I think it comes down to this: the characters are perceived, not as who they are or even who they see themselves as, but who they desire to be. This is a powerful thought. Who are you aiming to be? What do you wish to accomplish? More than many other factors, these goals will define who you are. This 2 word phrase (writers write) has been a biggie for me -- I tend to be unfocused with my writing, especially when the family needs lots of support as THEIR projects become due. I've heard 5,884,219 times that I should write down my goals, and while it helps immensely to list my priorities and do writing charts, I still need to refocus every day to get things done. I think part of the problem is that my important writing projects are so big that there's no sense of closure at the end of the day. I read a great book over the holiday, Accidental Genius by Mark Levy, that advocates free writing to solve any and all goal-related problems. Free writing is basically the process of writing down your thoughts, thinking aloud on paper rather than letting your ephemeral cogitations slip through your mind and out your ears. There are a few helpful rules that go with this process, such as LOWER YOUR STANDARDS on your writing quality. Especially after successfully completing the NANO challenge (National Novel Writing Month, for 50,000 words in 30 days) this past November 2010, I've been practicing just writing... writing... writing... I found that doing 2000 words a day, while not trivial, wasn't nearly as difficult as what I'd been afraid it would be. OK, so here's my somewhat scary thought for myself for the new year: Writers write! I'm a writer. Therefore I write. And while I have been writing and producing quite a bit already, I want to be more focused and deliberate in my output instead of flitting between half-finished ideas. So, for 2011, I'm going to attempt at least 1000 new words of writing per day, five days per week. If I can do this, this ends up being about 260,000 words by December 31st. My writing can be about anything, from finishing a manuscript, to simply talking to myself about the garden. I want to get into the habit of producing words, A LOT of words, and not worrying so much that every blessed one isn't the absolutely best choice. So you other writers out there, what do you think? 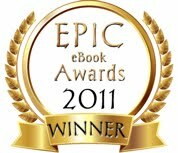 The 2011 Amazon Breakthrough Novel Award is Here! Do you have an unpublished or self-published novel you know Amazon.com readers will love? Enter your novel in the 2011 Amazon Breakthrough Novel Award for a chance to win one of two $15,000 publishing contracts with Penguin USA and distribution of your novel on Amazon.com. First Round: Amazon editors will review a 300 word Pitch of each entry. The top 1000 entries in each category (2000 total entries) will move on to the second round. Second Round: The field will be narrowed to 250 entries in each category (500 total entries) by Amazon top customer reviewers from ratings of a 5000 word excerpt. Quarterfinals: Publishers Weekly reviewers will read the full manuscript of each quarterfinalist, and based on their review scores, the top 50 in each category (100 total entries) will move on to the semifinals. Semifinals: Penguin USA editors will read the full manuscript and review all accompanying data for each semifinalist and will then select three finalists in each category (six total finalists). Finals: Amazon customers will vote on the three finalists in each category resulting in two grand prize winners. For all of you who can never have enough books, you may be interested to learn that some publishers offer free books in exchange for a review on your blog and posted on Amazon etc. I did a google search for Thomas Nelson, Tyndale House, and Bethany, but I’m sure there are more. Sometimes these books are available in e-book format for your Kindle or other e-reader, if you don’t want to accumulate DTBs (dead tree books). The *rules* seem similar between the publishers, and not difficult. Basically, you are not obligated to read or receive anything. You can request one book at a time, and must write the review before you can request another. You should write an honest review, even if you dislike the book. In your review you must also include the disclaimer that you received the book free in exchange for a review. Since even these big publishers are willing to give books away for reviews, this indicates that reviews are valuable. Remember that when and if you have your own book published to BEAT THE BUSHES TO GET AS MANY REVIEWS (PREFERABLY FIVE STAR) FOR YOUR BOOK AS POSSIBLE!!! Let’s say a guy named Roger is attracted to a woman named Elaine. He asks her out to a movie; she accepts; they have a pretty good time. A few nights later he asks her out to dinner, and again they enjoy themselves. And then there is silence in the car. To Elaine, it seems like a very loud silence. She thinks to herself: Gee, I wonder if it bothers him that I said that. Maybe he’s been feeling confined by our relationship; maybe he thinks I’m trying to push him into some kind of obligation that he doesn’t want, or isn’t sure of. And Roger is thinking: . . . so that means it was . . . let’s see… February when we started going out, which was right after I had the car at the dealer’s, which means . . . lemme check the odometer . . . Whoa! I am way overdue for an oil change here. And Roger is thinking: And I’m gonna have them look at the transmission again. I don’t care what those morons say, it’s still not shifting right. And they better not try to blame it on the cold weather this time. What cold weather? It’s 87 degrees out, and this thing is shifting like a goshdarn garbage truck, and I paid those incompetent thieves $600. And Elaine is thinking: He’s angry. And I don’t blame him. I’d be angry, too. Gosh, I feel so guilty, putting him through this, but I can’t help the way I feel. I’m just not sure. And Roger is thinking: Warranty? They want a warranty? I’ll give them a goshdarn warranty. I’ll take their warranty and stick it right up their…. .
A tiny voice in the far recesses of his mind tells him that something major was going on back there in the car. But he is pretty sure there is no way he would ever understand what, and so he figures it’s better if he doesn’t think about it. The next day Elaine will call her closest friend, or perhaps two of them, and they will talk about this situation for six straight hours. In painstaking detail, they will analyze everything she said and everything he said, going over it time and time again, exploring every word, expression, and gesture for nuances of meaning, considering every possible ramification. They will continue to discuss this subject, off and on, for weeks, maybe months, never reaching any definite conclusions, but never getting bored with it either. 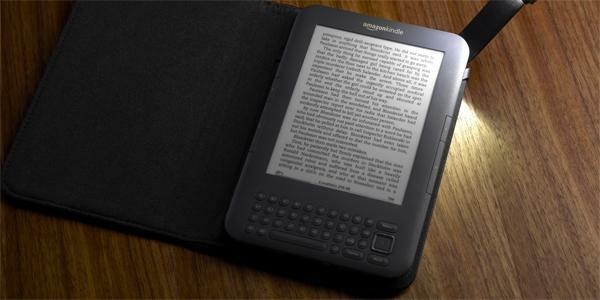 I am an enthusiastic convert to the e-reader, and specifically to the Kindle. (I recognize of course that other readers, like the Nook or the Sony, are probably just as cool since the great factor is the availability of the books). I keep thinking what it would have been like to have had the Kindle as a kid when I easily read a book a day, or even as recently as a year and a half ago, when I was stuck in a hotel room with nothing to read, and the only available help was from the (very) limited gift shop downstairs. I read a terribly boring book for the entire plane ride back, about 6 hours altogether, because I had nothing else. My daughter, upon her own request, received a Kindle for her big Christmas present. I'm pleased to see that she's reading for pleasure now, and has even purchased two books on her own. (Since she's on my account, she also has a plethora of reading material to choose from :-) ). I am becoming convinced that we are AT the tipping point for publishing: Soon ebooks will be the standard, and DTBs (dead tree books) the novelty. There is blood in the water right now about which e-reader will become dominant, but we shall see. I wonder about the computer strokes that track everything we do and buy, and recognize the Kindle book choices as simply another device to "paint a portrait" or keep a record of the person, but oh well. I am who I am. I like fiction (wide variety), science, cooking, religion esp. Christianity, and writing/publishing. I've also read a few biographies and miscellaneous materials on the Kindle: one of my recent purchases is Jon Krakauer's Into Thin Air about the 1996 ill-fated Everest climb. I've found a few games. While I am notoriously antipathic to word games like Scrabble, even Kindle can offer a few spatial/logical games such as Minesweeper and Triple Town that can entertain me for an hour at a time (fun for the feeble minded). My mother was so impressed with my Kindle 2 that I agreed with my dad to sell it to him for $100 so he could give it to her for Christmas. I had seen the new Kindle 3 so I was eager to try the new, slimmer model anyway, and this gave me the perfect excuse. (Mom preferred the Kindle 2 to the Kindle 3 since I could show her exactly how to use it while I was there, and she wouldn't have to learn it from documentation). I was interested and pleased to learn that when I deregistered the Kindle 2 from my account and put it to her account, my books were still findable and accessible on the Kindle 2 although the references in the remote archived account on amazon had vanished. As long as Mom doesn't remove these books from the device, she can enjoy them whenever she wants. Believe me, this was a considerable bonus since, as I mentioned before, I'd made a few (many) purchases. I posted battery life as a question on an amazon Kindle loop. Someone suggested that if the Kindle gets into a perpetual loop with indexing books this may drain the battery, but I haven't figured this one out yet. Also, games are energy hogs (I don't play them much unless I'm waiting in the car), and using larger type may use more battery since there are more page changes. I don't use large type but it was an interesting thought. ???? There are a lot of messages that the UNlighted Kindle 3 cover may short out some Kindles, and the Kindle then won't restart or will keep turning off. The battery may also drain in these circumstances. This isn't me, though since I have a lighted cover. The 4 day battery life is not a problem right now, but since I've only had this device for a few weeks I worry if the problem will progress to the battery not being able to hold a charge. So, I've found a place that sells replacement batteries. Needing to replace the battery assumes, of course, that the current battery is defective or worn, and not draining for the various reasons listed above. Replacing the battery on the Kindle will invalidate the warranty, but from what I understand, when amazon replaces the battery they simply send you a new refurbished unit anyway, not your original unit, and the price is higher than the $30 for the battery. It's also a lot quicker to do it yourself. I'm thinking about it, but at this point don't think it would be prudent to go ahead. Now, if my battery starts to be able to only hold a charge for a few hours, THEN I'll be more amenable to giving this a go. Here's a video of how one replaces one's Kindle battery. This place also sells batteries for many other electronic devices, so it may be worth taking a look around if you need anything. Happy Kindling! Charles Foster is an English barrister (lawyer) who debates himself over the evidences for and against Jesus’ resurrection. I found this book fascinating. Foster has done an exhaustive job of gathering facts in different subject areas such as acceptable source material, manner of death (or lack thereof), burial, empty tomb (or lack thereof), witness testimony, and contemporary circumstances that impinged upon the case evaluation. In different areas he then argues the cases against (X) and for (Y) vital components that could establish or dismiss the idea of resurrection. I appreciate that Foster draws no conclusions, but lets the reader make up his own mind on the strengths of the arguments. If one starts the study by accepting that the existence of God is a possibility, however remote, some surprising indications for a resurrection appear. For what it’s worth, I am a skeptic and scientist who came to faith through studying the historic circumstances surrounding the death of Jesus. I therefore had a considerable familiarity with this subject before reading this book. My biggest reservation with this book is that learning the outlines of a complex subject through a detailed and thorough exposition can be frustrating for someone not familiar with the area, and I fear that this book may contribute to such a sensation in someone who just wants to know what happened. Mr. Foster dives right in with his arguments without giving the “lay of the land” to orient the reader. For the uninitiated, it may be difficult to tell which facts are the “deal breakers” and which are just “grace notes” on an argument. Even so, Foster articulately argues both for and against the resurrection. This book is dense and intense reading, but also thought provoking. I agree with the author that the resurrection is a critical issue with which to grapple. If Jesus did not rise from the dead, it doesn’t matter. But if he did, this opens a sequence of inference that lead back to the questions: who is Jesus? And what will you do with this information? In response to my previous blog entry "Mary Did You Know? ", Anne Bundy has graciously written this explanation to me of the Jewish Wedding Ceremony especially as practiced during Biblical times. There were three cups drunk. (1) The first was between the groom's father (or the groom) and the bride's father. They would push their cups to one side to signal that they wished to negotiate. (In modern Bedouin practice, whether wine, other alcohol, or just coffee, cups are pushed to one side during any negotiations.) When an agreement was reached, the cups were (are) brought forward to be drunk. (You'll notice that in the movie Fiddler on the Roof, the betrothal agreement is broken, and the jilted groom-to-be angrily exclaims, "We drank on it!") (2) At the betrothal ceremony, bridegroom and bride share a covenant cup to seal the betrothal. No kissing is done publicly, so this might be compared to our practice of having bride and groom kiss to seal their marriage before witnesses. They are now husband and wife, though there is no exchange of any physical affection before the wedding. (3) At the wedding, bridegroom and bride again share a covenant cup, which is probably an allusion Jesus makes when He says He will not drink from the vine again until He drinks it with us in His Father's Kingdom. One of the ancient customs was to break sacred vessels after an offering to the Lord was made, so that they could never again be used for a common purpose. I've never actually researched the history of contemporary Jewish weddings smashing the glass covenant cup (I really need to take time for that! ), but I strongly suspect it is connected. This is a Christmas song I hadn't heard before, at least so that I paid attention to it. When I finally did notice it, I couldn't help meditating on this. Did Mary think through the mind-boggling idea that the baby, who she held in her arms and kissed, was God? While they were eating, Jesus took bread, and when he had given thanks, he broke it and gave it to his disciples, saying, “Take and eat; this is my body.” Then he took a cup, and when he had given thanks, he gave it to them, saying, “Drink from it, all of you. This is my blood of the covenant, which is poured out for many for the forgiveness of sins. I tell you, I will not drink from this fruit of the vine from now on until that day when I drink it new with you in my Father’s kingdom.” (Matthew 26: 26-29). The betrothal was legally binding: the man was now considered married to the woman, although she would live with her father's family while the groom paid the bridal price, then went to prepare the dwelling where they would live. "My Father’s house has many rooms; if that were not so, would I have told you that I am going there to prepare a place for you? And if I go and prepare a place for you, I will come back and take you to be with me that you also may be where I am." (John 14:2-3). The bridegroom disappeared for about a year while he prepared their new dwelling place. Finally, with no warning, the bridegroom would reappear, usually at night, to take his bride to live with him. The wedding celebration would last for about a week, in which the new union was recognized, and the marriage was consummated. These traditions of Jewish weddings and sacrificial system are instructive because they are shadows, or representations, of "how things work" in God's economy. *For those who are skeptical that, for example, a Loving God could create a baby or would sacrifice His own son, well, I didn't make this stuff up -- this is a simplification of theological thought that is detailed and self-consistent. Furthermore, as I've mentioned many times before, I came to my faith as a skeptic through studying the historic circumstances surrounding the death of Jesus. I am convinced that Jesus rose from the dead --> what he said was true --> and through a sequence, am convinced that what the Bible says is reliable. You can read through my faith journey HERE. I just read an interesting article that said people who write down a goal double or more the chance of accomplishing it. We've all heard to write things down, of course, but maybe it's a chestnut that needs to be revitalized. This process works with any large task, from prioritizing goals, to writing a novel or other large piece of work, to anything else you may wish to accomplish in your life. You start with an overview, then keep breaking down the big tasks into smaller and smaller pieces until each task is manageable so that you can make headway. The first time you do this, it might take you an hour or more to organize your goals to write them down, but it’s time that’s well worth investing. You don’t need to wait until right before New Year’s Eve either – anytime is the right time to focus your life. Also, create a folder on your computer or get a notebook and write on it GOALS in big letters. You’ll want to get into the habit of writing down goals with the date as you think of them, big and small, and you can refer to your notes as you start to take action. Writing down your goals will clarify them in your mind and allow you to take specific, positive actions to accomplish them. Be open to crazy ideas, then find the realistic kernels hidden within those clouds. Ready? 1. Write down what you want to accomplish in your life. You know the drill: think of what someone might say about you if you died tomorrow or what you’d like them to say differently if you died in seven years, think of what might be on your tombstone, how you might be remembered by important people in your life, and so forth. What sort of legacy do you wish to pass on to the next generation? What are some things you could accomplish that might bring this legacy about? Take time to contemplate your own mortality and what you want to do with your brief time on Earth. 2. Keeping your life goals in mind, what would you like to accomplish in the next five years? Put down anything and everything you can think of, then study this list and choose the most important goals. You may want to divide them into different categories – mind, body, spirit, work, family, personal – then pick the top one or few for each category. 3. For each goal, break it down into two or more steps that need to be taken. Imagine this date next year, and think about the progress that would satisfy you. Be realistic: you’re not going to earn a PhD in a year, but you may investigate schools, take a few prerequisite courses, or sit for the GREs. 4. Break down each year goal into steps. Figure out how much you might realistically do each month on each goal. You may want to concentrate on one for a few months, and then switch, but always have reasonable amounts to do for each month. Choose a concrete endpoint. For example, if you wish to write a novel in a year, your monthly goal might be “produce 20,000 words” rather than “write every day.” The more specific your goal, the easier it will be for you to evaluate whether you have actually fulfilled your goal. 5. For each monthly goal, again break it down into four weeks. 6. If you wish, you can break down your weekly goals into day goals. Once you have your goal list you have a good sense for where you want to aim your efforts. Now comes reality. A goal sometimes sounds reasonable on paper, but when you start to implement your plan you find it’s not quite so easy. For example, if you want to write that novel in a year and calculated so many words per month will get you there, you may realize after writing for a few days or weeks that you don’t know what you’re doing, and you’re simply producing many pages of garbage (and/or becoming very good at Spider Solitaire). Step back. Should you outline your story before writing it? Should you read some how-to books, or join a critique group? Should you lower your word output from 1000 words a day to 300? YOU ARE NOT FAILING IF YOU HAVE TO MODIFY OR CUT BACK! As long as you’re doing something, and making progress, you are doing more than most people ever do to fulfill their dreams. Another technique that many people use is a “to do” list for daily tasks. Some find these helpful, but others find them overbearing and guilt-producing. I like to have only one task on my “to do” list, and once I finish that to add another item and start work on that, but since I need to remember tasks to add to my “to do” list I may be engaged in semantics – a sublist from my true “to do” list. Oh well. Other people swear by using palm pilots, or having computer alarms, or whatever. Play with different organizing tools and tricks, and see if any of these helps you to become more productive. The most critical and basic one, I believe, is simply to write things down no matter which formats you use. Good luck pursuing your dreams. Our month of *January* is named after the Roman god, Janus. Janus was the keeper of gates, doors, doorways, and beginnings and endings. He was often worshiped at starting events such as the harvest, planting, marriages, births; and transitional life events such as when a boy was now recognized as a man. A common myth told of Janus causing a hot spring to erupt, thereby foiling an attack against Rome. I had trouble thinking about what to write about for my first column of the new year. I decided to start off with a common song that's often sung at the stroke of midnight: Auld Lang Syne. I found a short history of this song, part of a longer article, that I couldn't re-find on the web. For me, I am saddened by the fast passage of time, and new year's day just seems to emphasize this. My kids tease me about being "old" and living with Truman or even Hoover, but you know, when those gentlemen were president life for everyone felt real and immediate, just as it does now. Watching movies from the eighties I'm surprised at how dated things seem, and how old the actors look now. I remember going to the theater when these movies were brand new. The point is to trust and pray. Keep striving, keep pushing forward. Learn from the past, treasure it, but don't stay there however tempting it may be. You never know what's in store. Happy new year, to my dear friends both here and gone. Blog vacation is over :-) Stay tuned for the 3x per week entries again, for as long as I can keep up between doing 2 other books and busy children. Starts Monday. I hope you all are well, my friends.